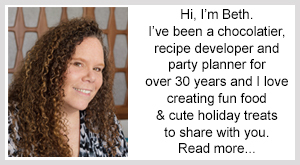 November 19, 2014 By This post may contain affiliate links. 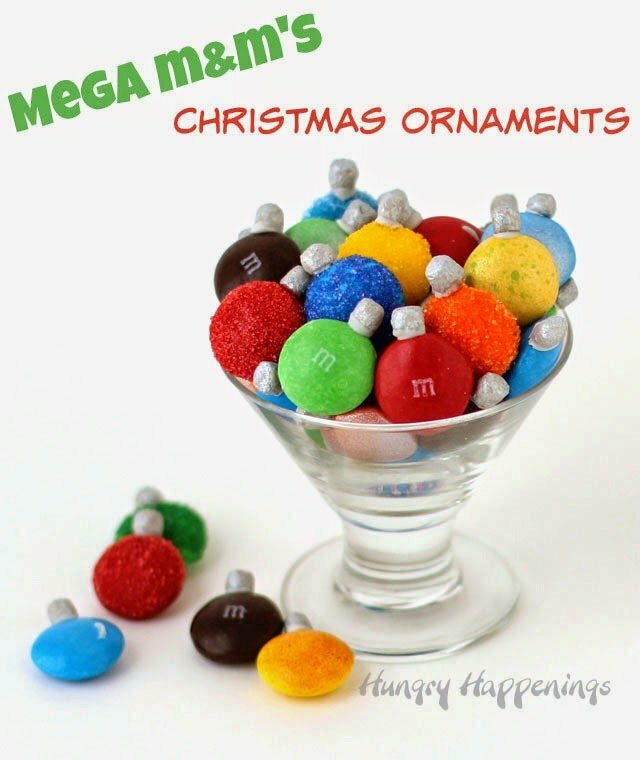 The moment I opened my first package of Mega M&M’s I could see so many edible craft possibilities including these Mega M&M’s Christmas Ornaments. 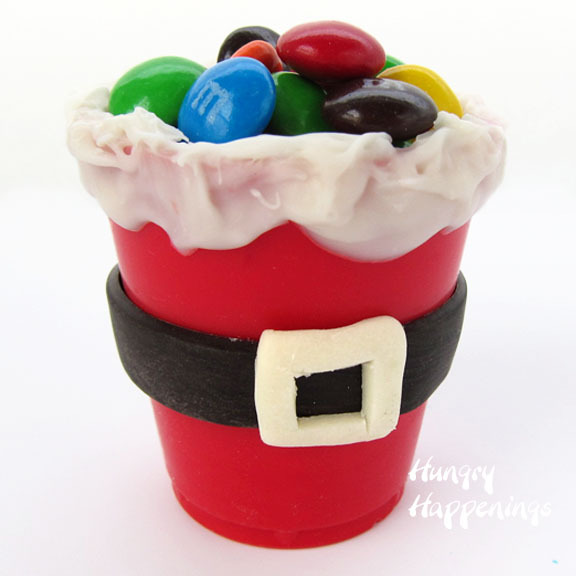 You can add these festive candies to a Christmas tree cake or cookie, simply stack them in a candy jar, or if you are ambitious, string them and hang them on an actual tree. When I sat down to make these edible ornaments, I only planned to draw on them with food coloring markers, add a silver marshmallow hanger and call it a day. But, as you can see, I didn’t stop at that. As I was scribbling on the candies, I realized there were so many possible ways to turn these large round candy coated chocolates into colorful ornaments for Christmas. Some are misted with food coloring spray to give them a spotted, two tone appearance, others are coated in corn syrup and colored sugars, and some are left just as they are, with the iconic “m” showing. 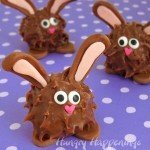 Any way you make these, they are pretty fun and super easy. 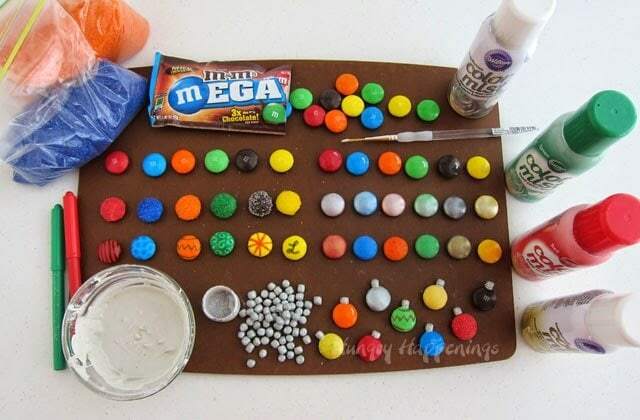 So, what are you waiting for, grab some Mega M&M’s and get crafting. 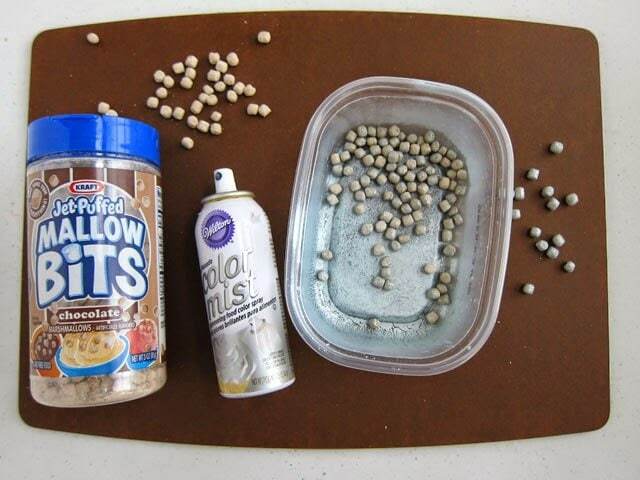 Pour a handful of Mallow Bits into a disposable container. Spray with silver food coloring spray, tossing the marshmallows around to evenly coat them. Spray lightly or the mallow bits will just fly around. I found that tossing them in the wet spray that collected in the bottom of my container worked fine. Allow them to dry completely, about 10-15 minutes. You can leave your M&M’s plain, allowing the ‘m’ to show on your ornaments or turn them over and make plain colored ornaments. 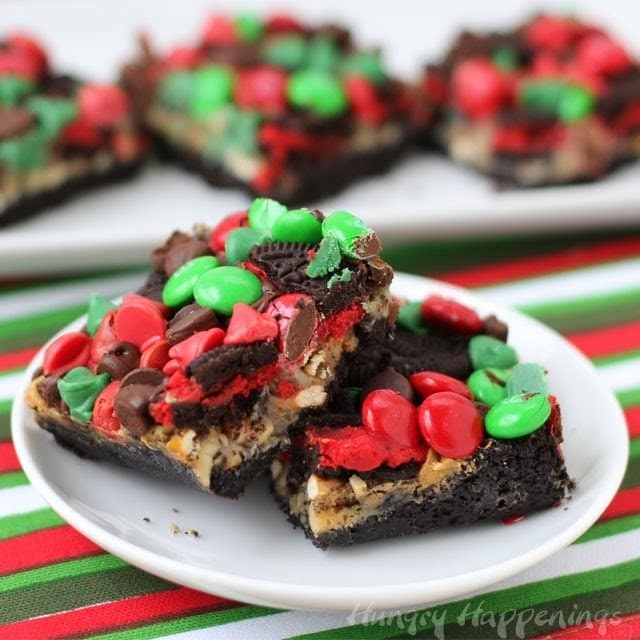 I brushed on a small bit of white confectionery coating to give my plain M&M’s a highlight. It’s easy to use food coloring markers to decorate the ornaments too. 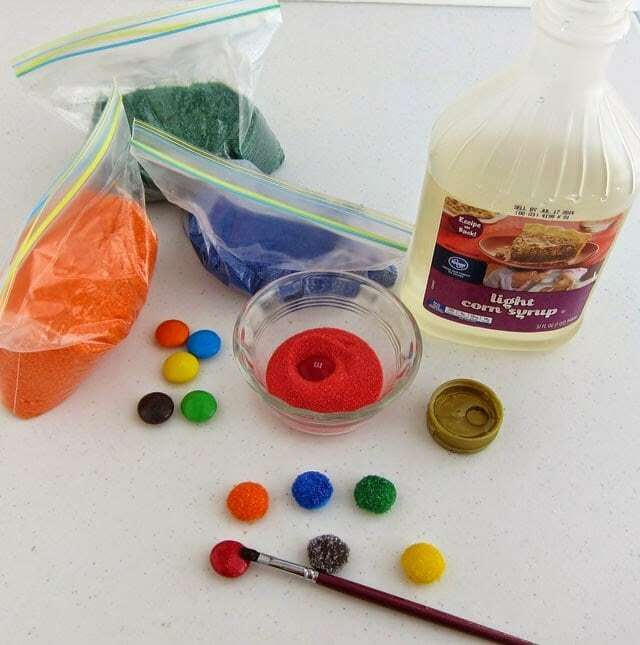 For a sparkly effect, brush a very light coating of corn syrup on the Mega M&M’s and dip them in colored sugar. 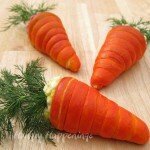 Allow them to dry for 15-20 minutes. 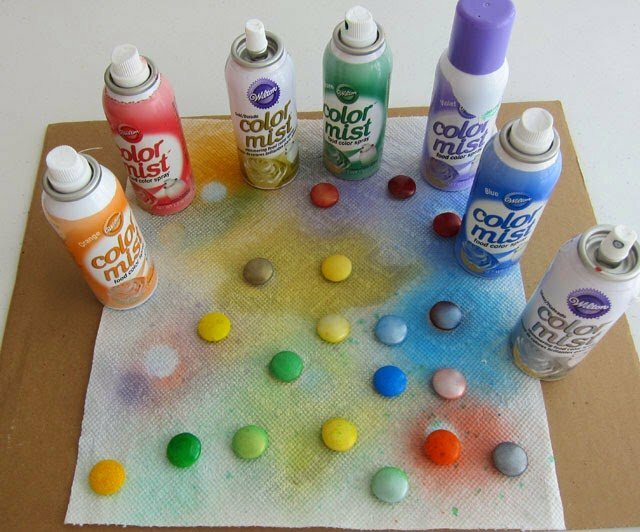 Or you can spray them with a variety of food coloring sprays. 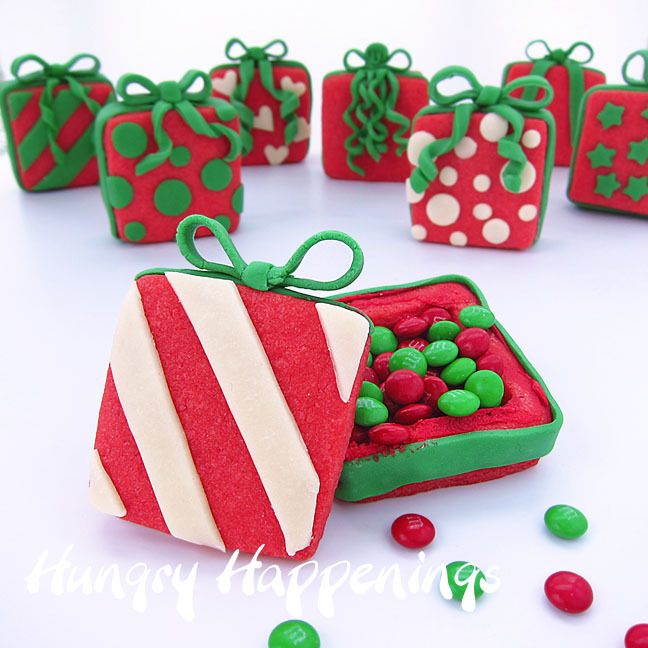 Have fun and layer colors, try to spray in short bursts, to get spots of color on your candy ornaments. 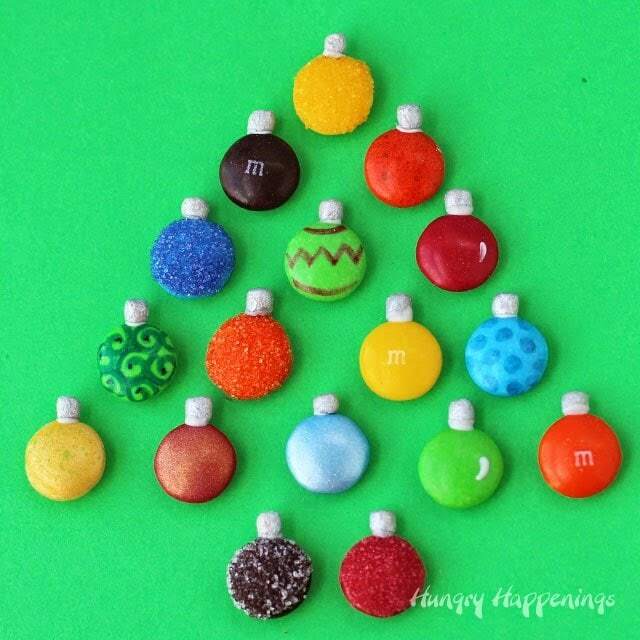 Silver and gold look really pretty, but one of my favorite candy ornaments is a yellow m&m spotted with orange. The pictures don’t do those ornaments justice. They look really cool. Melt your white confectionery coating. I used about an ounce and melted it in the microwave on short, 10-20 second burst of power until melted. Then, so the white wouldn’t show, I added silver luster dust to it, to make it silver. 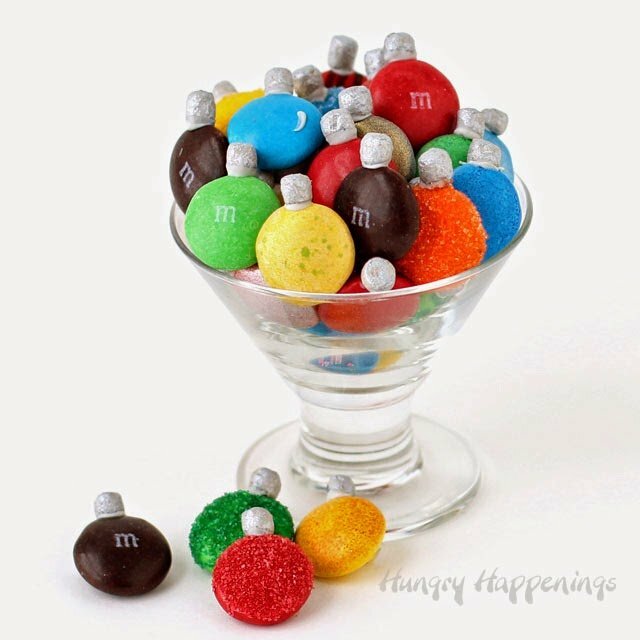 To attach the silver mallow bits to your Mega M&M candies, use a pair of kitchen tweezers, pick up a mallow bit, dip it in the silver candy coating, then stick it on an M&M. Hold it for a second, let go, and allow it to dry for a minute of two before moving it. 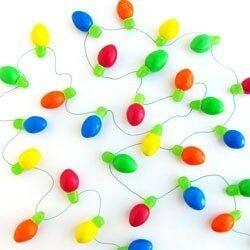 If you are really ambitious, you can use a needle and thread to make a loop so you can hang these on a tree. I wasn’t, so I just set mine on a piece of green paper and arranged them in a Christmas tree. Easy. They are the perfect size to use to decorate a Christmas tree shaped cake. I don’t have time right now to do that either, but you can! WOW … I'm truly amazed … genius! Thanks, sometimes it's the simple things that are the best. I love M&M's too and the Mega M&M's are my new favorite. They have lots of chocolate flavor. 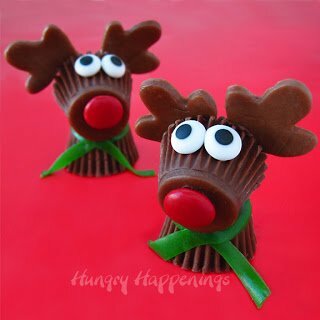 By the way, I'm going to add mine to a Christmas party mix along with Santa Hats (Bugles dipped in red candy coating with marshmallow tassles and white non-pareil trim). Thanks so much again! Great idea! That is a fantastic idea. I love it. 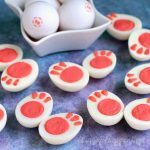 Absolutely adorable – I just love how you made them, with that tiny marshmallow hanger!!! 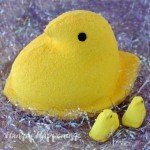 Very cute and pretty easy to add the colored sugars for a little extra bling. Haven't seen the MEGA M&M's yet so will look at them today to determine their size. 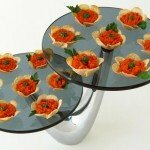 Leave it to you to see the latest and greatest edible goodies and then "run with it". Result – we get ideas to dazzle our Christmas company. It's always a WIN-WIN for us. Thanks Tavette. Not only are the Mega M&M's great for edible crafts, they are the best tasting M&M's in my opinion. I bought a few bags and my husband ate them before I got to making these, so we needed more. I'm sure you'll see them used here often. Awesome and yummy Christmas lights! yummmm & yummms! 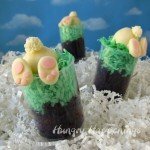 At first I tried cutting small pieces of taffy (Starburst Fruit Chews) to use and they looked alright, but as I looked around my cupboard and found the mallow bits, I knew they were perfect.